A very popular, small, hardy, deciduous tree & green foliage turns yellow or red in Autumn. 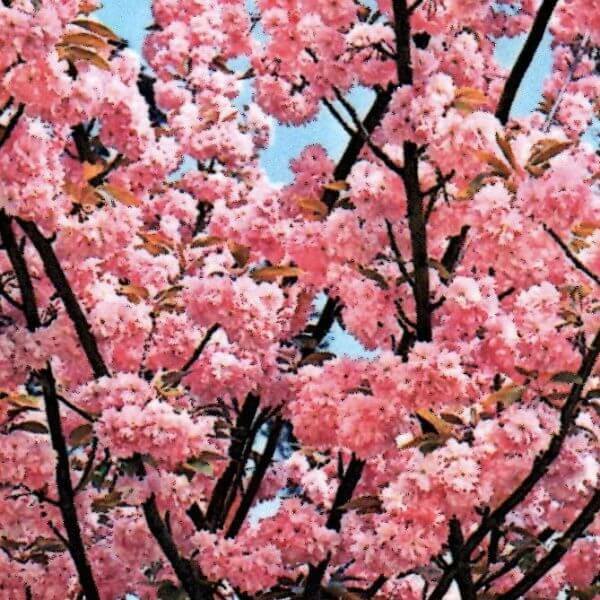 In Spring it produces large, double deep-pink flowers covering the tree. Green foliage & young trees are vase-shaped, spreading with maturity. Prefers a moist, rich, well-drained position in full sun. Tolerant of heat, adaptable to various conditions & plants are usually budded or grafted. A great feature tree in small gardens or where there is limited space & provides a lovely contrast with other plants.